Every dog lover knows the challenges of sharing a domicile with our four-legged family members. Indeed, even finding a home that we can share with our dogs at an affordable rate is often a stressful endeavor. This is because dogs impose quite a bit of extra wear and tear on a home. A study by the National Association of Realtors found that just over half of homeowners had completed a dog-related home renovation project including building a fence, adding a dog door or installing durable flooring. Floors, windows, walls, doors, furniture, and even appliances can all take a beating from a furry four- legged resident, reducing the overall value of the home and adding a layer of stress to even the most patient of dog-loving homeowners. Additionally, we want our dogs to love their home as much as we do and to be reassured that the home we choose has everything our dog needs to be happy and healthy. 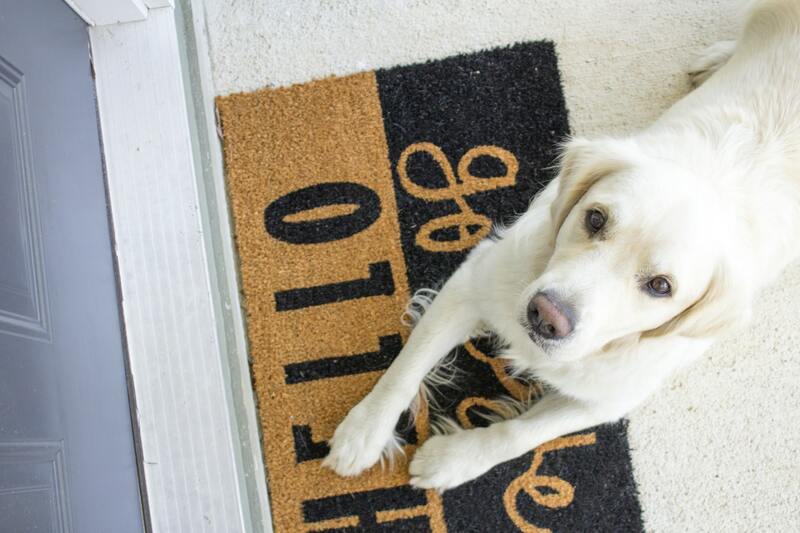 Here are some ways to make your house “dog-proof.” That is, no matter what mayhem your pup may get up to, you will still be able to live under the same roof with your pup. Whether you are committed to hardwood, tile, carpet, or laminate, there is much for a dog owner to consider when choosing floor options. Whatever flooring you are installing in your home (or that your home already has), you will need to learn how to best protect it. If you are going with hardwood, avoid the softer woods like pine and fir in favor of oak and mahogany. Durable laminates, treated concrete and stone tiles are easier to keep clean. If your home has softer wooden floors and high polish, you will need area and throw rugs and mats to help protect both the floors from wear and tear and your dogs from slipping. You will also need to regularly trim your dog’s toenails. If you are committed to carpet, use carpet tiles that can be easily replaced instead of wall-to-wall carpeting. If you are choosing wall-to-wall, be sure to pre-install microbial moisture resistant mats and stain resistant low-pile carpeting. Additionally, choose colors and patterns that will hide pet hair and pet traffic. If you already have carpet installed, keep a reliable carpet cleaner designed specifically for pet stains and vacuum often. After living with dogs, most pet parents realize that it is worth the investment to have a space dedicated to cleaning your dog up as they travel from outside to inside in the house. In other words, a mudroom, but a garage would work too. This space can be multi-functional, but it should have hard floors that are durable and can be easily cleaned. It should also have plenty of storage space for towels, toys, food, medicine and other pet supplies. A truly committed dog parent can install a dog wash or sink for bathing their furry friend as well. 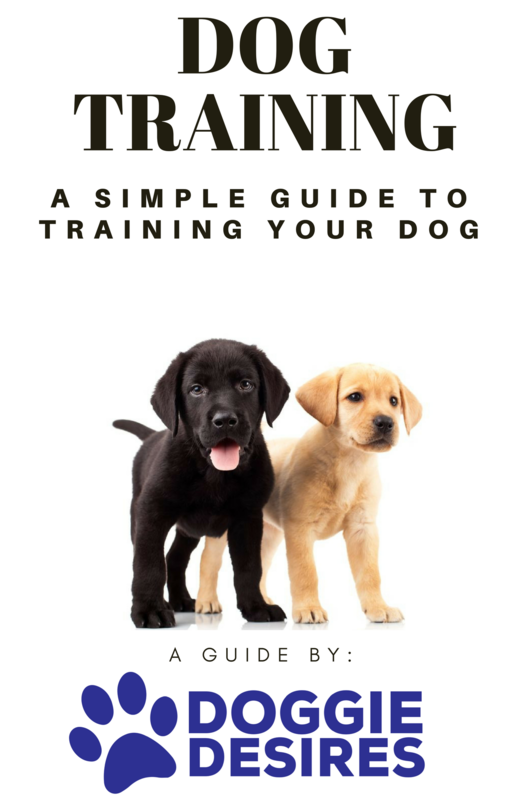 Other ideas include allowing and designing spaces in your home for safety or training crates, dog beds, and eating areas. Our dogs can get lonely when they have to stay indoors while we are working or running errands for long periods of time. Having at least one window or glass door that is at your dog’s eye level where they can access natural sunlight and a pretty view of the yard can help stave off boredom and cabin fever. Besides, who doesn’t want to pull up in the driveway and see their puppy waiting for them in the window? Additionally, utilize a doggie-door if you have a fenced yard for your dog to wander in and out freely. Magnetic or electronic doors can allow your dog the freedom to move in and out at will while providing security and peace of mind for you. As with carpeting and area rugs, be sure to align furniture upholstery with your dog’s fur. Before buying a brand new sofa, test the fabric by rubbing a sample along your dog’s fur and seeing how the hair appears or adheres to the sample. Use durable, heavy duty tightly woven fabrics or micro-fiber blends. Try a heavy duty leather or invest in several canvas slipcovers that can be regularly washed and removed before guests arrive. With appliances, keep all cables and exposed wiring out of reach from pets where they can accidentally get tangled in the wiring, trip and possibly pull the appliance down on top of them. Curious puppies have a tendency to chew everything, including wiring, which can expose them to an electric shock. Configure the spaces that appliances will occupy with pets in mind. You can install some technology of your own too, such as an electronic indoor pet containment system that will keep your dog from investigating rooms of the house where they shouldn’t be. Fortunately, the best home warranty will cover many of these items, including electrical and appliances, in the case that your best laid plans go awry. No home is perfectly designed for our furry friends because they are, of course, designed for us. However, we can take steps to protect our pets and keep our homes tidy. There are a variety of options available for any dog-lover when they move into a new home, bring Lassie home for the first time, or buy new furniture. Whatever choices or changes you make, you can be sure your dog will love your home anyway because they will be living there with you!